Finally we are back! It is Fowl Friday with Fran & Freda! In honor of Friday and Fowl we want to share one of our favorite things, Food! Kate is coming home soon, she is in pastry school and has been tempting us with delicious photos of what she has been baking. Debra's idea of baking these days is a potato and a chicken breast plus roasted veggies! Yuck! So we have our feathers and toes crossed that Kate makes us some yummy stuff when she comes to visit! 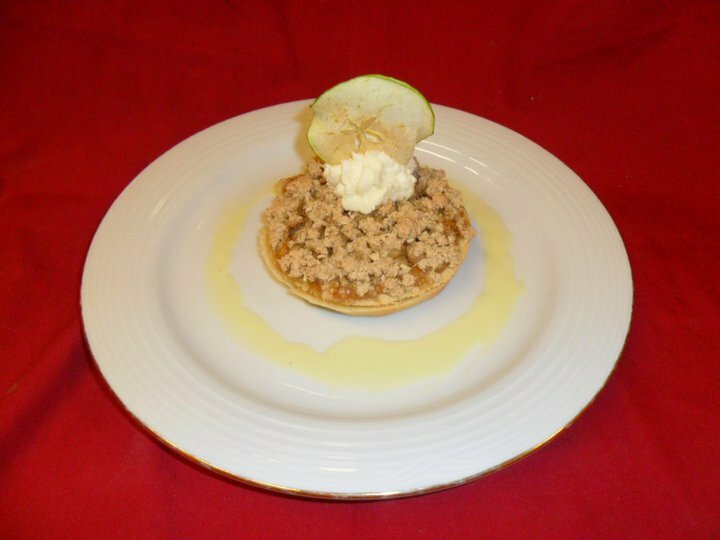 The apple banana dessert with creme anglaise she made earlier this week is at the top of our list! Freda is dancing for joy literally burning off calories in anticipation of Kate's arrival! 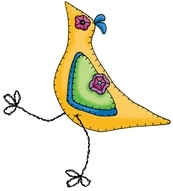 Follow the Fowl, Fran & Freda!